We believe that all that we have belongs to God. As Christians we are called to give “the first fruits” of our labors back to God. We give not because God needs our money, but because we need to remind ourselves of our dependence upon him, and express our thankfulness for the blessings he has given us. St. Andrew’s depends upon the voluntary financial contributions of our members to pay our clergy and staff, maintain our facilities, finance our ministries, fund our children’s and youth programs and other ministries, and cover our administrative costs. Without your sacrificial giving, none of the work we do for God here at St. Andrew’s is possible. You generosity is greatly appreciated. 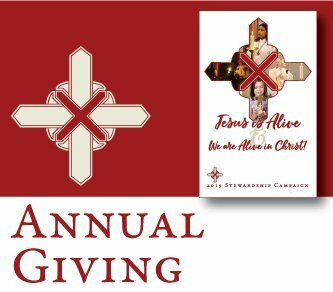 Pledges to our General Fund Stewardship Campaign provide for our yearly operating expenses, and cover costs such as salaries and benefits for our clergy and other staff; mortgage, insurance and utilities; office expenses and building maintenance; giving to the greater Church; and operating expenses for various ministries. Our leadership affirms the tithe as the minimal Biblical standard of giving, and trusts that your gift to Christ and his Church is a prayerful matter between you and God. We view tithing not as a fundraising strategy, but as a matter of spiritual growth. We don’t tell people what to give, nor do we presume that your tithe should go exclusively to the church. Certainly if you aren’t already tithing, the thought of giving 10 percent of your income to God’s work in the world — whether that be at St. Andrew’s or elsewhere —may seem overwhelming. Many of us have so invested ourselves in this world that we cannot invest in God’s kingdom without violating those commitments we have already made. Consider, then, growing into the spiritual discipline of tithing through proportionate giving. Figure out what percentage of your income you currently give away, then commit to increase your giving by at least one percent each year until you reach the tithe. Regardless of what we give, we are called to give generously and joyfully to God’s work in the world, whether that be the work of the Church or of another organization or cause. Every gift — no matter the amount — is important! The General Fund Stewardship Campaign is held annually in the fall, with pledges offered up to God on the first Sunday in November. 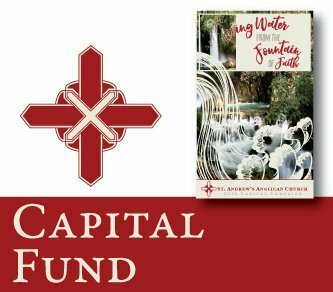 Monies raised in capital campaigns are separate from gifts to the operating budget of the parish, and are typically earmarked for specific purposes, oftentimes for new buildings or facility enhancements. In 2016, St. Andrew’s stepped out in faith and initiated a Capital Fund campaign to raise $400,000 over a three-year period, not for bricks and mortar, but as an investment in our youth. The bulk of the money raised was earmarked toward salary and benefits to call a Youth and Family Life Minister, whose mission would be to equip our young people to go out into the world to live Christ-honoring lives, and through the Living Water that flows from within them, to be a blessing to others and a participant in God’s plan to reconcile the world to himself. In late 2017, we were pleased to call Fr. Shane Tucker to that position, and he joined us in ministry in January 2018. 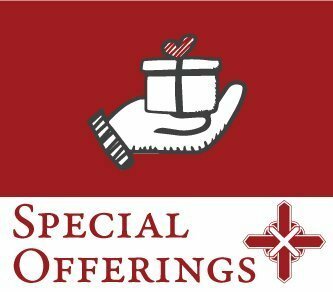 Special offerings are gifts above and beyond those pledged through the General Fund Stewardship and Capital Fund campaigns. They include monies in the loose offering, which each week are designated for a particular area of outreach. These are typically cash gifts from visitors, but oftentimes members wish to give to a particular outreach ministry, and will do so on the designated Sunday. We also provide opportunities to give toward disaster and emergency relief at home and abroad, and aid those in need in developing countries, through the Anglican Relief and Development Fund (ARDF), a ministry of the Anglican Church in North America (ACNA). And from time-to-time, we collect funds and/or supplies for missionaries taking the Gospel out into the world. Many people prefer to designate gifts to the church in lieu of flowers upon the death of a loved one, or wish to make a memorial gift in honor of a loved one. The large cross behind the altar, our baptismal font, and many of our altar vessels were purchased with memorial gifts. To designate St. Andrew’s as the beneficiary of memorial gifts, please see Fr. 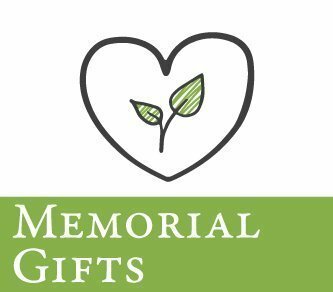 Ron, or contact the Parish Office so that we can assist you in selecting, and coordinating the purchase of, a memorial gift. 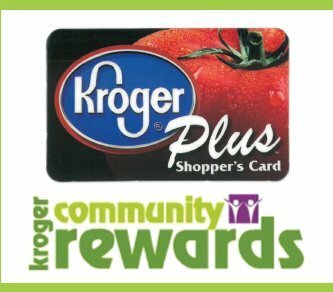 Our partnership with Kroger Community Rewards allows you to support the church while you’re doing your normal everyday shopping! To participate, click here, log in and follow any prompts, and search for “St. Andrew’s Anglican Church” or HM254. Please contact the Parish Office, mail@standrewspolaris.org or 740-548-5112, ext. 1, if you have further questions. 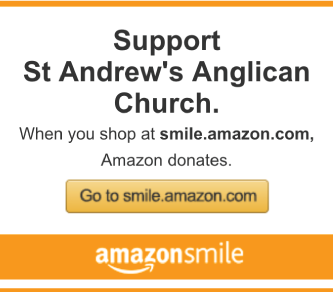 When your shop at AmazonSmile (smile.amazon.com) with St. Andrew’s as your designated charity, the AmazonSmile Foundation donates 0.5% of the price of eligible purchases to our church. Click here to begin shopping with St. Andrew’s as your designated charity. Remember that for the church to earn rewards you need to be logged on to smile.amazon.com. Please contact the Parish Office, mail@standrewspolaris.org or 740-548-5112, ext. 1, if you have further questions.